Well, apart from the distinctive underlying style of Highland Park, these two whiskies are really very different. Both are good whiskies, but one is most definitely better than the other. Herby and floral at first followed by white fruits and iodine, wisps of smoke, spice and then sea salt. More of the above and in the same order, the heather becomes more prominent and there is a sweetness of boiled sweets. Dry and long, especially concentrating on the high floral notes. Caramel and vanilla, honey sweetness, lots of depth, meadow flowers on the high notes. Bananas and caramel, followed by flowers and heather, little bits of toffee and milk chocolate, some spice and smoke comes through towards the end. Very smooth with waves of smoke followed by the sweet caramel and finally, flowers again. A belter of a whisky, one of my recently tasted favorites. 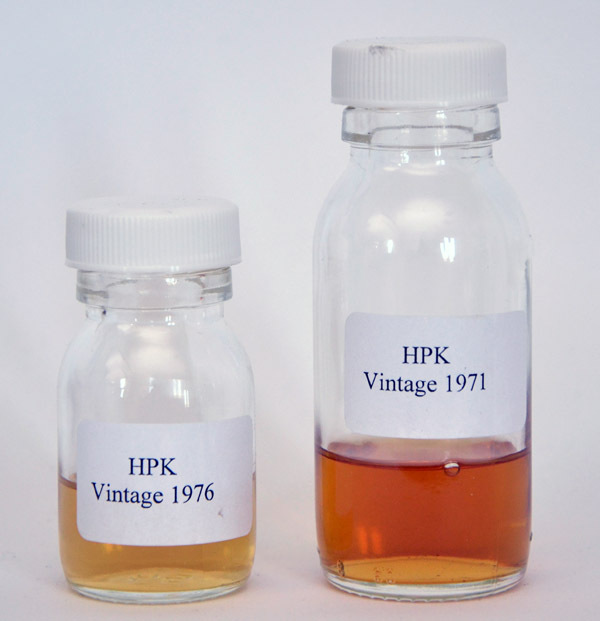 Both these whiskies have the spice and smoke of Highland Park, but the 1971 has all the extra depth. This entry was posted on November 30, 2011 by Champdenwhite. It was filed under General Tastings, New Whisky Bottlings .